Editor’s note: Saadia Zahidi heads the Women Leaders and Gender Parity Program at the World Economic Forum and is founder and co-author of the annual Global Gender Gap Report, released October 25. The views expressed are the writer’s own. Gender inequality is good economics. Yes, you read that correctly. While we know that individuals, economies and societies would benefit from gender parity in the long term, gender inequality is often a perfectly rational choice for individuals in the short term. Gender imbalances, and their resulting economic consequences, are still startlingly visible everywhere, from the developed world to emerging markets. In Brazil, more women attend university than men, but women earn only a third of what men make for the same job. In the United Arab Emirates, three times as many women go to university as men, but half as many women participate in the labor force. Across Europe, women outperform men academically and enter the workforce in similar numbers, but occupy less than 15 percent of board positions. In Pakistan, where I grew up, a girl has only a 29 percent chance of making it into secondary school, compared to 38 percent for a boy. There is irrefutable evidence on the economic contribution that women can make, from the familial and community level, to research showing that companies get a diversity dividend, to the World Economic Forum’s own global data on the correlations between gender and competitiveness, released this month. By some estimates, gender parity in employment could raise the GDP of countries such as the United Arab Emirates by 12 percent, Japan by 9 percent and the United States by 5 percent. While many institutions are constantly pointing to these potential collective gains, progress remains dismally slow. So what’s holding us back? We are. Millions of daily, individual actions of men and women, from a manager’s hiring decision, to a woman’s career choice, to a family’s resource allocation, add up to perpetuate the gender gap. These are not always the work of overt sexism. Very often these choices can be perfectly rational responses to the short-term realities. Imagine a working, married mother-of-two in Switzerland. Statistically, she is likely to earn less than her husband. Considering the country’s joint taxation regime and expensive childcare, it makes economic sense for her to choose to leave work for the relatively short period of early motherhood even if she would have preferred to work. Or take a low-income family in Pakistan with two sons and three daughters. Sons are culturally expected to financially support parents, while daughters are married into other families where they become primary caregivers. In the short term then, parents with a small disposable income are making a rational economic decision by prioritizing their sons’ education. Visualize an HR manager in Mexico. Even managers who inherently value female colleagues are factoring in the reality that women are more likely to take parental leave, especially in a context where men have traditionally been breadwinners and women homemakers. For the less conscious managers, hiring an equally skilled man is the rational and convenient short-term option. Paradoxically, it’s these convenient and appealing choices that are leading to unintended and harmful long-term consequences for the individuals who make them. Over time, the Swiss mother may struggle to find a rewarding job that matches her expectations of salary and seniority, after the hiatus in early motherhood. In old age, the Pakistani parents may have found more comfort with five well-educated children earning good salaries – and two similarly successful daughters-in-law. The Mexican manager may find that having predominantly male staff prevents the firm from appealing to the majority of its consumers, who happen to be women. Add up these short-term logical choices across households, firms and countries and we end up with severe individual and aggregate long-term losses. So what’s the solution? There are many – and responsibility lies with both governments and companies at once. First, governments need to become more strategic in regulating, creating incentives and raising awareness to encourage people and organizations to make advantageous long-term decisions. In Turkey, for example, where only 26 percent of women work, the government rewards companies for employing women by subsidizing their social security contributions. In Norway, a “daddy quota” allocates fathers 12 weeks of non-transferable paternity leave, creating knock-on effects for the division of labor at home and at work. In Bangladesh and Indonesia, cash incentive programs aim to encourage parents to send girls to secondary school. 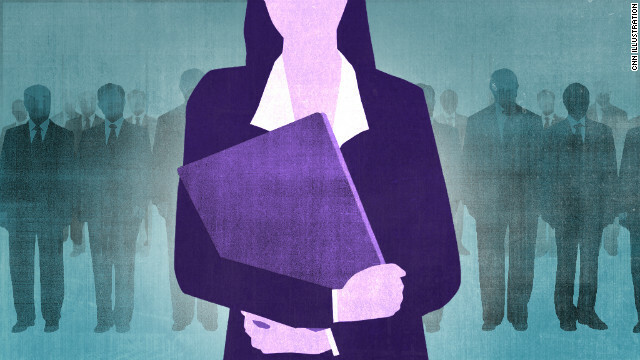 The governments of Malaysia and India are introducing minimum thresholds for women on boards. While these are useful examples of innovation, countries cannot implement only one or two of these policies and expect real, broad results. Each country needs to implement an array of policies – a multi‑pronged approach that caters to its unique circumstances and is customized to various strata of society. Companies also hold enormous responsibility. The current approach of many companies is to create externally focused girls’ or women’s empowerment flagship programs that are not core to their business. While such programs are useful, if companies really want to get the benefits of gender diversity, their leaders needs to take a holistic, introspective approach that leads to fundamental reforms on how to recruit and retain employees, how to mentor and sponsor high-potential women, how to sensitize managers to different leadership styles, how to manage work-life balance policies so that they don’t disadvantage women, how to empower women across supply chains – and how to manage efficient corporate responsibility initiatives so that they support women and girls. To accomplish this, companies need to learn from each other’s experiments so that change is accelerated, as opposed to competing in promoting their flagship programs. At the World Economic Forum, we are running innovative and experimental pilots with dozens of companies through such collaborative platforms in Mexico, Turkey and Japan – and early results show change. “Culture” is man-made, quite literally. What we think of as irrational and harmful biases are rooted in a past logic, one that may not be valid today, but which cannot be ignored when designing solutions. With the right incentives, we can make gender equality the new rational choice. "if companies really want to get the benefits of gender diversity, their leaders needs to take a holistic, introspective approach that leads to fundamental reforms on how to recruit and retain employees, how to mentor and sponsor high-potential women, how to sensitize managers to different leadership styles, how to manage work-life balance policies so that they don’t disadvantage women, how to empower women across supply chains – and how to manage efficient corporate responsibility initiatives so that they support women and girls." I have an even BETTER idea. Rather than 'sensitizing the workplace' and CHANGING EVERYTHING to benefit women and harm men, how about we reward COMPETENCE AND HARD WORK. If a woman does a better job than the man she gets paid more. However, this only works if the man who does a better job and works harder also gets paid more. Sorry girls. Now go make me a sandwich. "professor", the trouble is even when individual people DO perform better and are more productive, that does not lead to reward in most fields. In my field (medical research), few people are directly rewarded at all no matter how productive they are. The only reason we all work so hard is because we love what we do. As for changing workplace culture, I can't see how this would "harm men" as, for example, the Norweigian initiave allows fathers 12 weeks of paid leave to spend time raising up their own kid. How does that harm men? I agree that parents who choose "flex time" to be able to take care of the kids when they need it or aging parents when they need it should probably have less compensation for less productivity but again, how does this harm men, when men might be the ones choosing this sometimes? You come across as downright misogynistic. Changing school culture here in the US has harmed boys. In trying to make school better for girls and transforming all classroom activities to be more "girl learning style" focused, we have thrown boys under the bus. Boys are now more likely to drop out and less likely to go on to additional schooling. Women create inequality between women. Feminist leaders base their tactics on creating inequality between women. Women will not be equal to men until they create equality between each other. May I just say that your post is almost the most ridiculous thing I have read this year? I hereby take 150 internet points from you for wasting everyone's time and another 50 for pretending to be female. There is some gender inequality, but for the most part, there are gender choices. Women will chose to spend more time with family (a better choice in my opinion) than will men. In general, men and women think differently, and women on average, do not put as much emphasis on monetary success. When we accept these differences, we will stop trying to fix what is not broken. You might think that is true, but what women choose and what men choose are more similar when their options are more similar. I believe as women are given more and more options similar to men's (career opportunities), and men are given more options similar to women (spending time caring for children), you will see individuals making choices unrelated to gender. Wow, instead of pushing companies for female quotas – how about doing more of what Norway does and push laws that give MEN more time with the family. The author and others keep talking about how women have to make this choice – most men DON'T EVEN HAVE THE CHOICE. Men are expected by society to go out and do whatever is necessary to support the family, period. Even Norway is only giving a partial effort if what the author states or what I can find with a quick search is accurate. The author states that men get 12 weeks, but various articles I found indicated women get 12 MONTHS. Again, a HUGE disincentive for fathers to take time off work and more socializing that it is expected that the male in the family be working outside the home. My immediate family was equal education, equal pay. My extended family feels like I have a man's job b/c I make as much as my successful male cousins and they are very opinionated. They don't know my salary but they realize that I am in management and my life is as comfortable as theirs. I am divorced and had I not chosen my family and my career, my life would be very hard. I was able to educate both my son and daughter. There father remarried and had 4 more kids. He constantly complained about not having money and after court mandated child support until 18 the payments stopped. I don't care if he has no money, these 2 kids are his too. But instead of fighting him tooth and nail or saying harmful things in front of my kids, I took care of and educated my children. Both have graduate degrees and are positive contributors to society. So, what would I had done if I had only chosen to be a stay at home mom? By the way, I enjoy what I do. I want you to be a broad. A cute one. Either that or I want you to go abroad. I think that there are many things more important than those specific government interventions. Talk the timing of child bearing, for example. When most women had their children in their early twenties, women were out of the labor force at the beginning of careers and that was not as damaging as taking time out in the middle. Many women in their early twenties combined child rearing with school, taking a couple more years to get a degree than if they were full time. Often they ended up better educated, taking perhaps a second degree, as a result. Then when they entered the work force, they entered on a more equal footing with men with mat leave behind them. Another benefit of earlier childrearing happens as women reach the executive suite. If women have kids before they're 25, by the time they are 40 or so and heading for the executive suite, the kids are leaving home whereas with later childbearing, that's just when mommy demands are at their peak. Then there is marital insecurity. When the bio clock is ticking, and the living together relationships did not work out, and people realize they'll never feel about anyone the way they felt about that person in university, there's a lot going on in lives that endangers work. People start to get into relationships at work, and while that works for some it's a downer for many. When divorcing (the company benefits counsellor get you or your spouse a divorce plan on the second visit) there's a lot to take attention away from work and the kids need more attention too. Both of those factors are way more influential than rules. Those concerned about women not reaching the executive suite need to ask what is going on in women's lives at the time they should be grooming for the executive position. Diversity and equality are opposites, which is why "equality" is such an intolerant ideal. Equal rights are all we should strive for. As for why men have superiority in some areas, places where physical strength is an important survival trait, either for work or for protection, are going to see men in dominant positions because men are stronger. That's natural, and if you don't like it, solve the problems that make physical strength so important. 9 – You feel insulted and "dehumanized" when scientists say that people evolved from other life forms, but you have no problem with the Biblical claim that we were created from dirt. 7 – Your face turns purple when you hear of the "atrocities" attributed to Al lah, but you don't even flinch when hearing about how God/Jehovah slaughtered all the babies of Egypt in "Exodus" and ordered the elimination of entire ethnic groups in "Joshua" including women, children, and trees! 4 – You believe that the entire population of this planet with the exception of those who share your beliefs – though excluding those in all rival sects – will spend Eternity in an infinite Hell of Suffering. And yet consider your religion the most "tolerant" and "loving." 3 – While modern science, history, geology, biology, and physics have failed to convince you otherwise, some id iot rolling around on the floor speaking in "tongues" may be all the evidence you need to "prove" Christianity. 2 – You define 0.01% as a "high success rate" when it comes to answered prayers. You consider that to be evidence that prayer works. And you think that the remaining 99.99% FAILURE was simply the will of God. Posting inflammatory comments that have little to nothing to do with the article in question, as well as being wrong in most instances looks like a very good definition-in-action of a troll. WHile the last post had nothing to do with the story line. Taken on its OWN it makes perfect sense.And I have to agree. And do you also pay them an equal wage for an equal job? You didn't mention that part. This was a reply to EdL–not sure why it posted at the end.